When the weather warms up, your basement may be at risk for severe flooding and water damage. After the deep freeze of "Chiberia," the weather is going to see a massive spike in temperature. This means there is potential for excessive snowmelt, which can cause floods in your Itasca property. On top of frozen pipes bursting, your basement may be at risk for severe flooding and water damage. Confirm your sump pump is in working order. Also consider buying a generator in case of power failure, as well as having a backup battery sump pump installed. Once the weather warms up and the snow begins to melt, check for any cracks in the exterior of your foundation and basement floors and walls, and use epoxy for a quick repair. Clean any debris from gutters to ensure proper waterflow, and check to make sure your downspouts are properly positioned away from your house. Remove any valuable and/or fragile items away from potential flood sources. Ensure window well covers for below grade basement windows are properly installed and in good condition. Have your sewer wells inspected and your septic tanks cleaned. A clogged sewer or septic tank could further increase the risk of flooding. 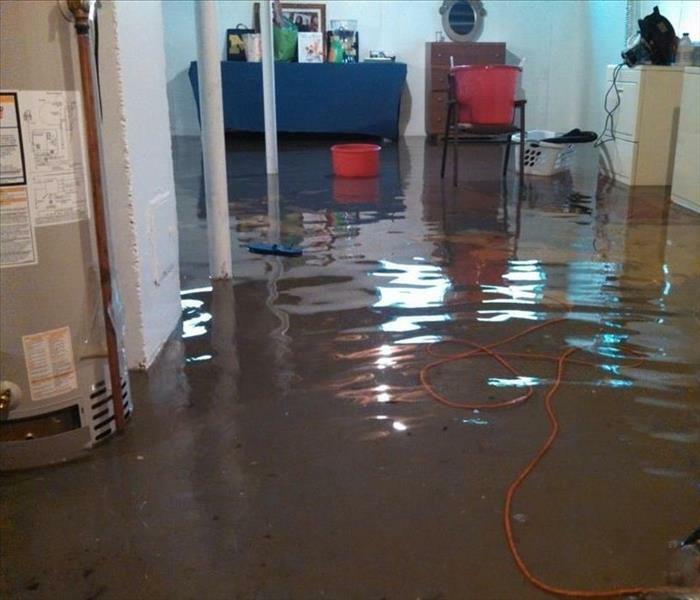 In the unfortunate event a flood in your basement occurs, call SERVPRO of Elk Grove / E. Schaumburg / Itasca / Roselle to begin the restoration process. Time is of the essence when it comes to water damage, so don't wait! Call us anytime, 24/7 at (847) 593-3055! With temperatures dropping to dangerous levels, it is important to take every precaution we can for our own safety and health. The Chicagoland area will be seeing a deep freeze tonight and tomorrow, the likes of which we have not seen since the 1980's. With temperatures dropping to dangerous levels, it is important to take every precaution we can for our own safety and health. STAY INDOORS. Avoid the outdoors if possible. With a potential windchill of -55 F tomorrow, frostbite can occur within a matter of minutes, and hypothermia is a major risk. If you absolutely need to drive, make sure your vehicle is up for it. Replace your battery if it is old, and keep your fuel tank and tires filled. Also, keep your cell phone charged and have emergency contacts on hand. 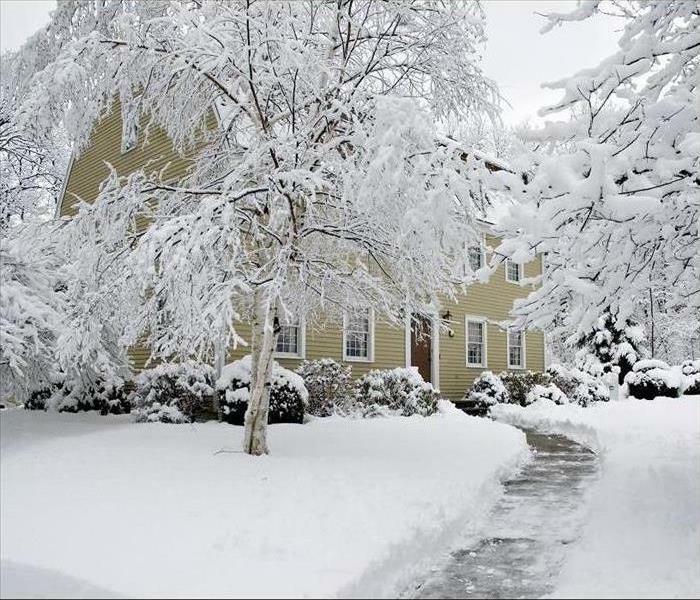 Clear out snow from your roof to prevent ice damming and shovel driveways and sidewalks before it gets too cold. 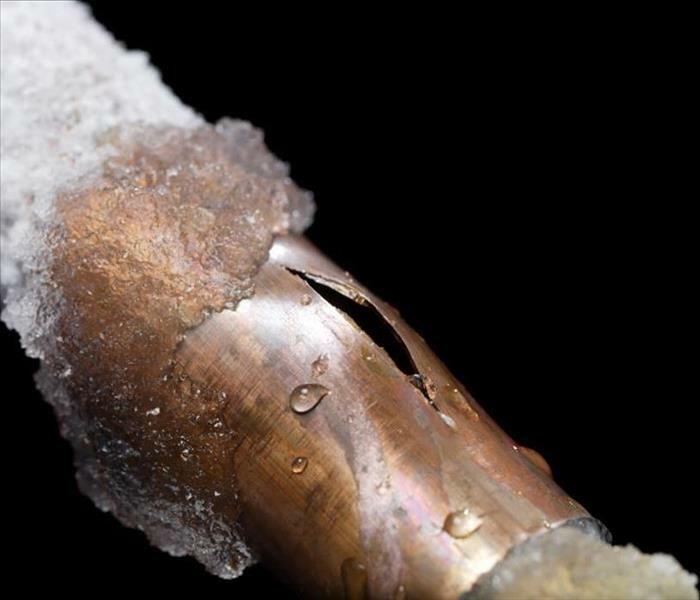 Prevent your pipes from freezing. Check out our previous blog for more info. We at SERVPRO of Elk Grove / E. Schaumburg / Itasca / Roselle will still be keeping an eye and ear out for any emergency restoration situations, and we are available 24/7 to address your needs. Call us at (847) 593-3055 to begin the restoration process. Repairing water damage in your Medinah home is a more intensive and involved process than simply removing standing water and letting the room dry on its own. There may be hidden moisture within the walls and flooring that standard dehumidifiers and fans will not be able to remove, and complete drying may require tearing out wet materials. It is vital to have a professional team that is trained and equipped to ensure every step of the storm damage restoration process is carried out precisely. Before doing anything else, all standing water needs to be removed. This involves the use of industrial-grade extractors to thoroughly vacuum any standing water. Our technicians can also relocate and pack away any furniture or other items so that the proper equipment can be moved in. Once all standing water is gone, our technicians will determine what is salvageable. We follow the mentality of “restore vs replace”; we will save whatever we can to help save money for you and your insurance. If the material is not salvageable, we will tear out and dispose of it for you. Materials that are typically unsalvageable are drywall, insulation, and carpet pad. We utilize industrial-grade fans and dehumidifiers to ensure quick drying. Our technicians will create a drying plan and a layout of equipment in order to maximize efficiency in drying and reduce risk of further damage. We will also look at all items affected by the flood to see what can be salvaged, documenting any damage with photos to include with your claim. Don’t wait to address water damage to your property! SERVPRO of Elk Grove / E. Schaumburg / Itasca / Roselle is ready and available 24/7 to respond to your needs. Call us today! 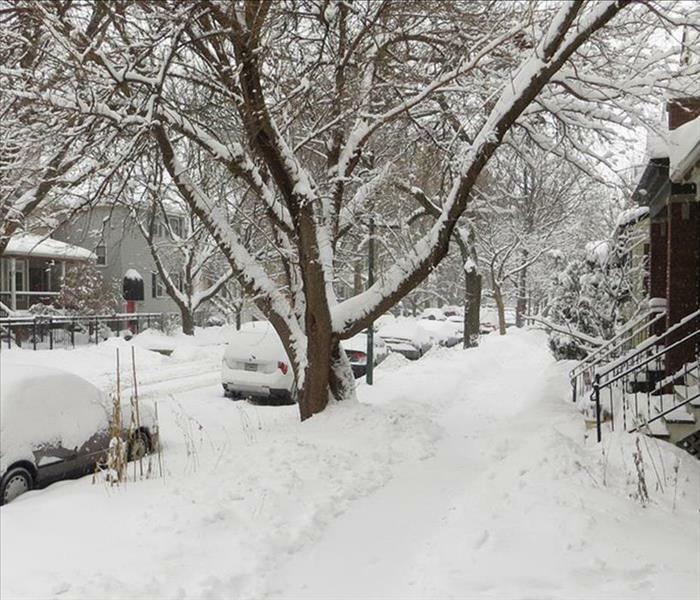 With winter weather rearing its ugly head in the Chicagoland area, it is vital to make sure your home or property is protected from the elements, whether that be ice, snow, or wind. 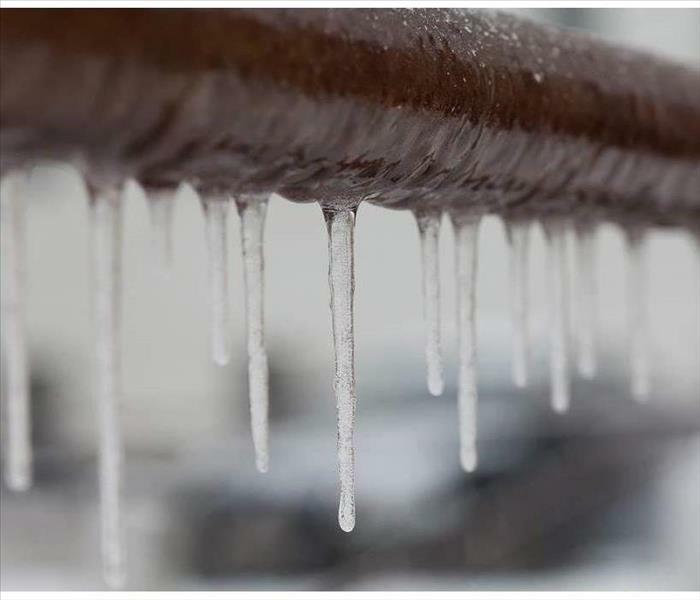 SERVPRO provides services in Elk Grove, E. Schaumburg, Itasca, Roselle, Wood Dale, Medinah and beyond to remediate water damage from frozen pipes, ice dams, roof damage, etc. If there is water over the electrical sockets on the floor or walls, stay clear of the area! Identify the source of water: sanitary water (i.e. broken pipe) / contaminated water (i.e. washing machine overflow) / grossly contaminated water (i.e. sewage damage). Stop the source of the water and secure any broken or loose pieces (i.e. broken pipe, valve, etc). If you are filing a claim, take photos of each affected area (especially damaged contents like computers or electronics). SERVPRO technicians will also take additional photos of affected areas and items. Watch for any slippery floor conditions. For your winter weather water damage needs, SERVPRO of Elk Grove / E. Schaumburg / Itasca / Roselle is ready and available 24/7 to provide you with quality restoration services. Call us at (847) 593-3055 for immediate assistance! 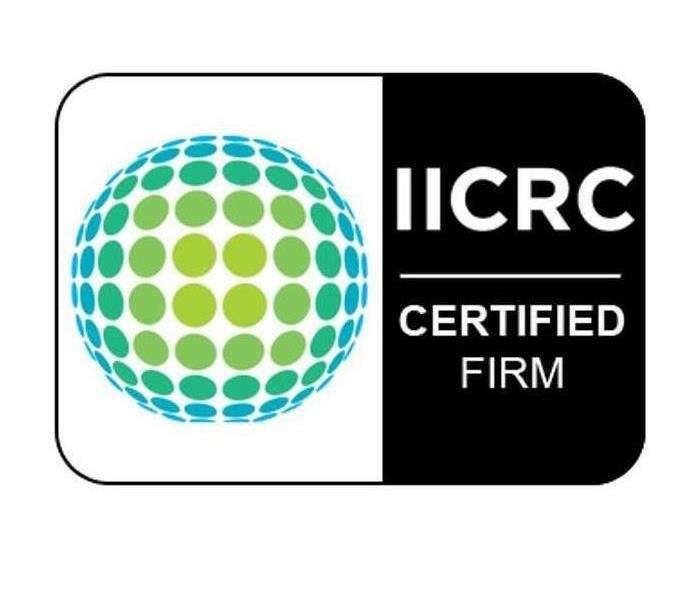 SERVPRO of Elk Grove / E. Schaumburg / Itasca / Roselle is proud to be an IICRC Certified Firm! SERVPRO of Elk Grove / E. Schaumburg / Itasca / Roselle is an IICRC firm. The Institute of Inspection, Cleaning and Restoration Certification (IICRC) creates the standards for the restoration industry and provides training and certification to restoration companies. IICRC Certified Firms have the right to display the IICRC Certified Logo. 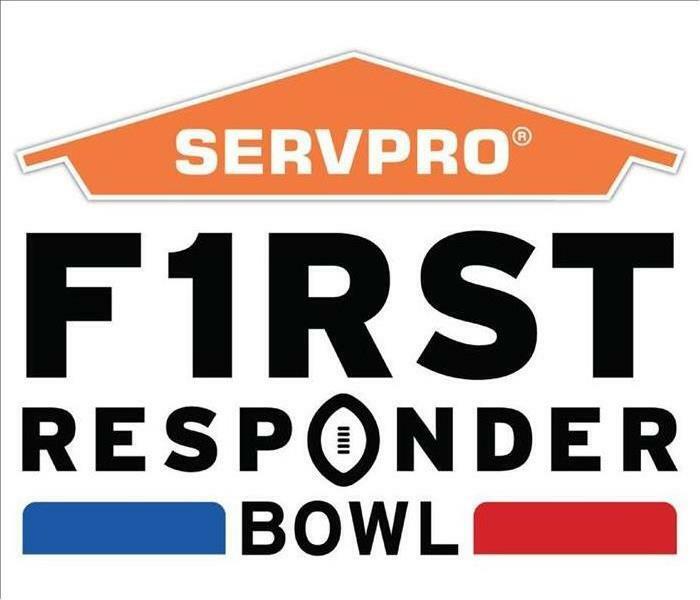 SERVPRO of Elk Grove / E. Schaumburg / Itasca / Roselle specializes in the cleanup and restoration of residential and commercial property after a fire, smoke or water damage event. Our staff is highly trained in property damage restoration and we are an IICRC Certified Firm. We believe in continuous training: from initial and ongoing training at SERVPRO’s corporate training facility to regular IICRC-industry certification, rest assured our staff is equipped with the knowledge to restore your property. Warmer winter temperatures may cause flood damage to your home from melting snow. With changing weather patterns, we often experience warmer days during the winter. These warmer temperatures can lead to significant amounts of melting snow. Unable to seep into the still-frozen ground, this water can only flow horizontally, at times entering homes. SERVPRO's professional team has extensive experience in all sizes and types of flood mitigation. No damage is too small nor too large for us to handle. Because water damage worsens as time goes on, we are always Faster To Any Size Disaster to reduce the risk of further damage. Certified in Water Damage Restoration (WRT) and Applied Structural Drying (ASD), our technicians know which steps to take and when. Using the latest technology and equipment, we can thoroughly dry a saturated home in a strategic and timely manner to save your property and personal belongings. We will also check for potential microbial growth and contamination to ensure proper remediation is taking place. 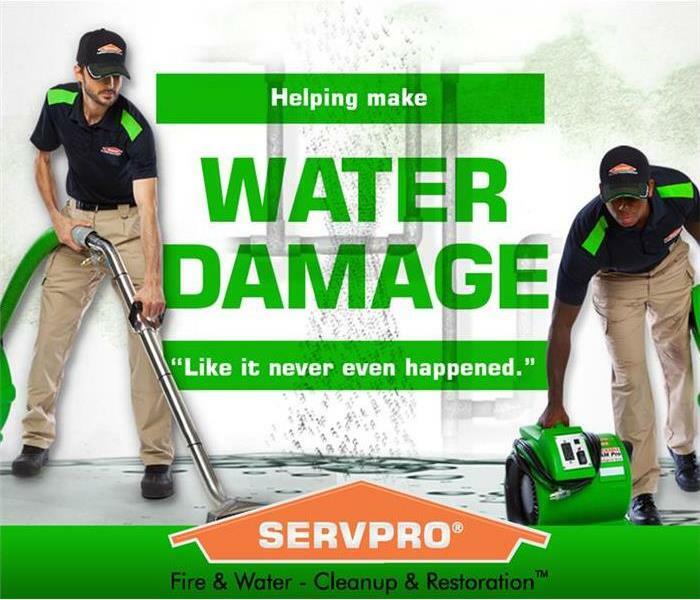 SERVPRO of Elk Grove / E. Schaumburg / Itasca / Roselle can help your family recover quickly from any amount of flood damage that your home experiences, making everything clean and safe again, “Like it never even happened.” Call us at (847) 593-3055 to contact our 24-hour service. We never close and are always ready to help you, no matter what emergency your home endures. 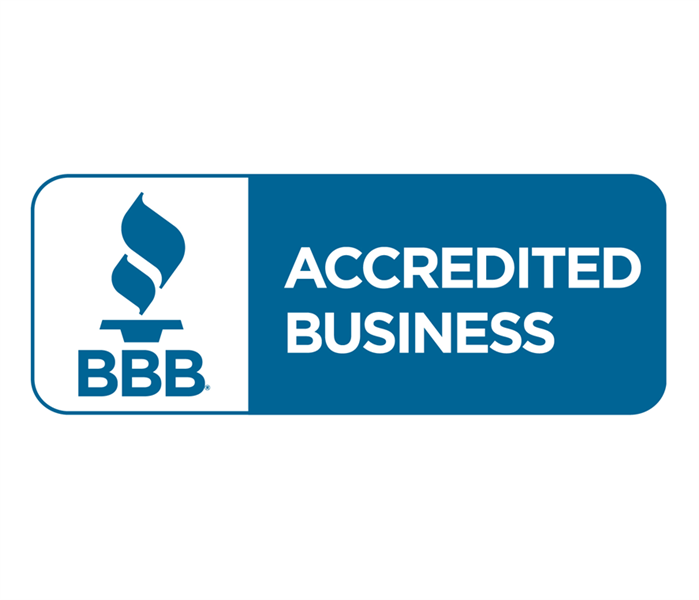 SERVPRO of Elk Grove / E. Schaumburg / Itasca / Roselle is proud to be a BBB Accredited Business. A business is accredited by the BBB when they demonstrate these traits, and SERVPRO of Elk Grove / E. Schaumburg / Itasca / Roselle is proud to be a BBB Accredited Business. When you choose SERVPRO, you can be confident you are choosing a company you can trust in and that will look out for your best interests. SERVPRO of Elk Grove / E. Schaumburg / Itasca / Roselle is available 24/7 to respond to your emergency. Call us at (847) 593-3055! Trust SERVPRO of Elk Grove / E. Schaumburg / Itasca / Roselle to help with your customer's restoration needs. As a leader in fire and water cleanup and restoration, SERVPRO of Elk Grove / E. Schaumburg / Itasca / Roselle offers your insurance company an array of competitive advantages. 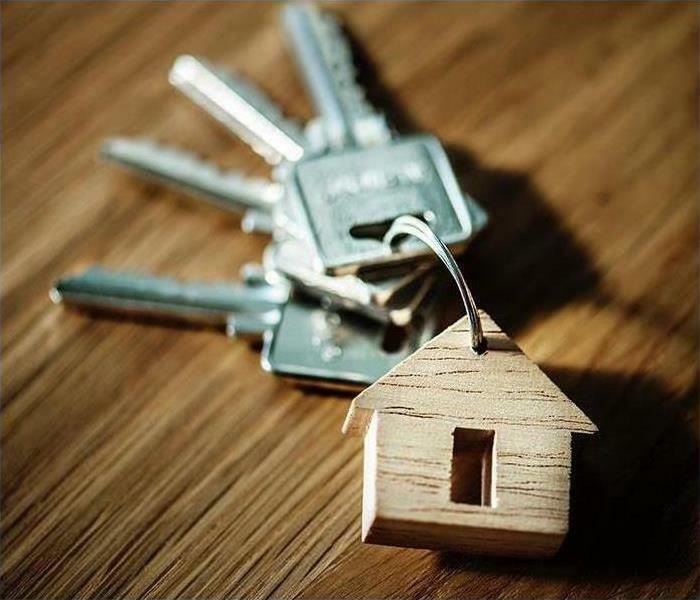 Our goal is to restore both your customer’s property and their peace of mind through timely mitigation and adherence to IICRC standards. The result? Lower claims costs and satisfied customers – and that’s just the tip of the iceberg. SERVPRO understand your situation. As an agent or adjuster, you have a responsibility to keep claims costs down while still providing the best services possible for your customers. SERVPRO professionals are uniquely qualified to help. Our results create a measurable difference, giving you many competitive advantages. Restoring property is the SERVPRO's first priority. Your customer will appreciate the immediate response and you will know everything is being done to limit the damage. Restoring property is less expensive than replacing property. Claims Professionals know the rule is, "Restore whenever possible, replace only when necessary." SERVPRO professionals make sure pretesting is completed on every loss to determine restorability. SERVPRO can provide an itemized loss inventory, with a full report and pictures of important items. Effective training is the best way to help ensure your customers receive the service they deserve. We are trained to IICRC standards in Fire and Water Cleanup and Restoration. In addition, continuing education classes are available to our technicians and insurance clients at our state of the art IICRC Approved Training Facility. A SERVPRO professional's job is to reassure the customer, perform quality service and to report to you quickly. We know your job is to interpret the policy and adjust the claim, not to deal with problems from vendors. Working together, we strive to save you time so you can focus on priority files while having complete control of every loss you are assigned. 24-hour emergency response, damage mitigation, loss assessment, and an electronic file are available to you within hours. SERVPRO’s documented, measured performance increases value to you and your shareholders, managers and customers. Hard-earned results have made SERVPRO of Elk Grove / E. Schaumburg / Itasca / Roselle leaders in the fire and water cleanup and restoration industry. The SERVPRO System is geared to achieve customer satisfaction and mitigation results, adding to your company’s competitive advantage. Call SERVPRO of Elk Grove / E. Schaumburg / Itasca / Roselle today at (847) 593-3055!